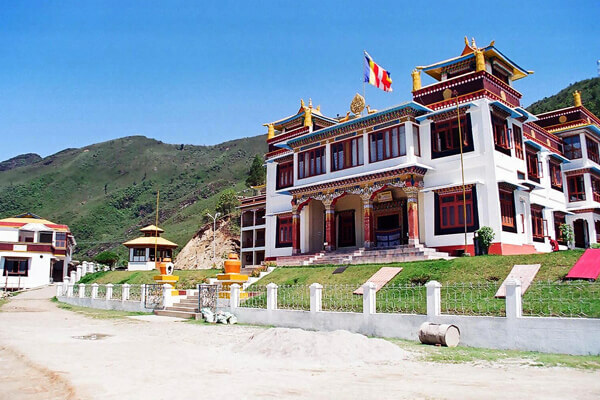 Bomdila is a beautiful destination in Arunachal Pradesh and it flaunt its natural beauty to a great extend. From here, one can see the brilliant landscape and snow-clad Himalayan mountains but for that the right season and time is important. Hence, we have laid down a seasonal break for you. Bomdila in summers is hot and nice. It is a rejuvenating season for summer lovers, throughout this season despite being mildly hot; you will enjoy sightseeing beautiful valleys and major attractions like wildlife parks and monasteries like Bomdila Monastery, Eaglenest Wildlife Sanctuary, Sessa Orchid Sanctuary, Bomdila View Point. As the bright illuminating rays hits you, you can visit the shimmering Tenga River located 15 kilometres below. Bomdila in monsoon is allured with fine breeze and cooling atmosphere. You can sense calmness in the dripping rain and the thrill in the heavy rainfall. Monsoon may not be the right time to visit Bomdila if you want to sight-see touristy places but if you want to romanticize amidst the lush and green environment then there are plenty around. You can visit the Eaglenest Wildlife Sanctuary that also offers spectacular view of the waterfalls flowing from Kameng River. Bomdila in winters is slightly cold but it is refreshing. If you enjoy winters then you can visit Bomdila. It is an ideal time to sight-see and you can cover many attractions. Some worth visiting places in Bomdila are Bomdila Monastery, Eaglenest Wildlife Sanctuary, Sessa Orchid Sanctuary, Bomdila View Point, R.R. Hill, Craft Centre And Ethnographic Museum, Tipi Orchidarium and the three Gompas (Upper, Lower, Middle).